4-year-old Paul, who lives in Uganda, beat malaria thanks to a Rapid Diagnosis Test kit. He lived to meet his new baby brother, Lucky. 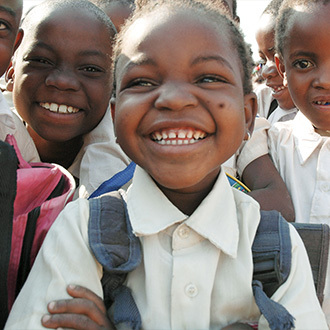 7-year-old Marlene was able to continue school in the Congo even after becoming an orphan. She’s learning to read! Sonali from Bangladesh spends each day in a World Vision child-friendly space, where she is cared for, educated and protected while her mother works in a nearby brothel. You can look forward to getting the first letter from your child within 6-12 weeks. It’s the start of an uplifting relationship, and a more abundant life for you both. 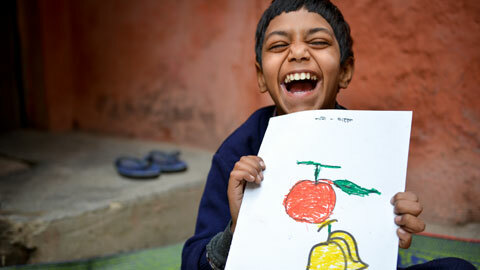 Sponsored child Bedal is a 9-year-old boy with special needs who lives in Delhi, India and loves to draw. Your donation combines with gifts from all other sponsors who support kids in the same area. Translation? Long-term resources for everyone. Nice! 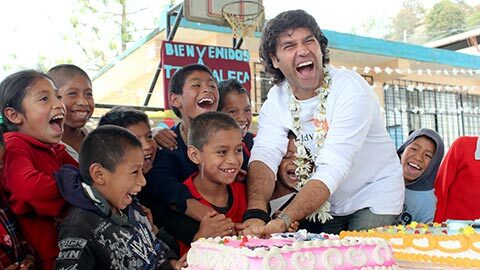 Nearly 200 sponsored children in Mexico celebrate their birthday for the first time at a community birthday celebration. Children don’t get direct cash benefits. Better yet, our local staff partners with the community to create a sustainable plan to keep the community out of poverty, even once we’ve moved on to help other communities. Asmiru has worked for World Vision Senegal for 6 years, and is a trusted advisor, advocate and friend to the Paroumba community. 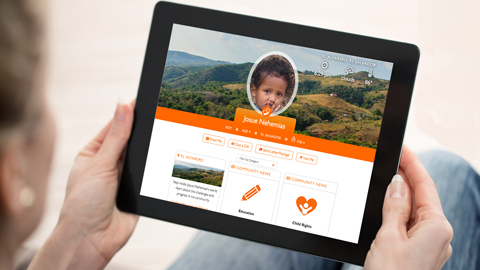 The My World Vision digital experience lets you get regular updates, track community progress, and view photos and videos of your child. 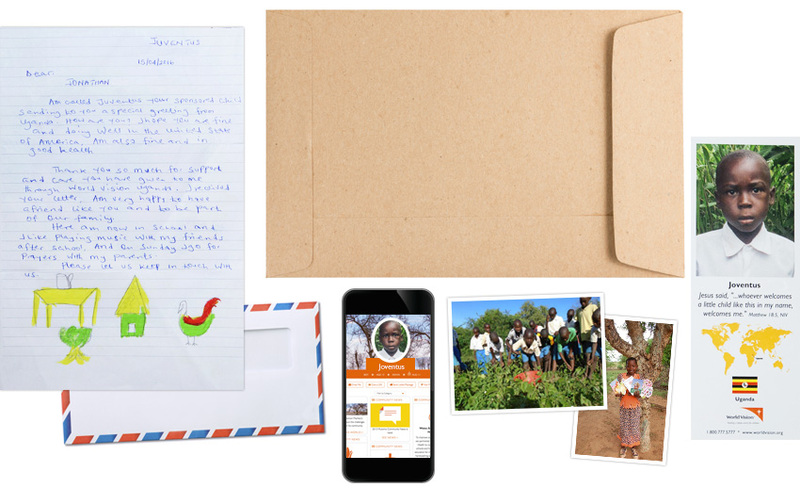 You can even send your child a letter through email. Have questions about sponsoring a child? These are just a few of our most frequently asked questions, but you can find our full FAQs and top 5 myths on our About Child Sponsorship page. Sponsor a child, and your monthly gift helps bring essentials like clean water, nutrition, education, and hope to your sponsored child and the community. When you sponsor a child, you can build a relationship with your child through letters and photos. Sponsor a child for $39 a month and help a child and community break free from poverty for good. When you sponsor a child for $39 a month, your sponsorship donation is pooled with other sponsors to fund programs that benefit your sponsored child and their community. Sponsors who have the flexibility and resources can even arrange visits to see their child. By sponsoring a child, you get to watch the impact of your donation on both that child and on his or her community. 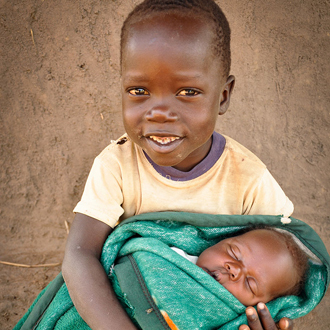 Child sponsorship helps a child in need. When you sponsor a child, you help provide essentials like clean water, nutrition, education, and more while you connect through letters and photos. All with the goal of helping your sponsored child and their community break free from poverty for good. Sponsoring a child is the most personal, effective way to fight poverty. When you sponsor a child in need, you build a special relationship that encourages your child with hope for the future. Plus, your donations join forces with other sponsors to lift your child and children in the community out of poverty for good. 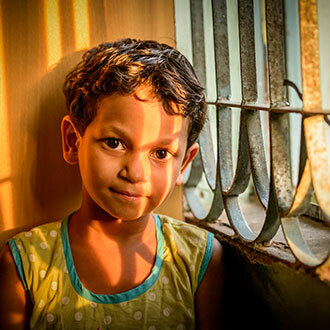 Child sponsorship with World Vision costs $39 per month and it has a huge multiplier effect. We stretch your dollar as far as possible to help lift both your child and their entire community out of poverty. In fact, for every child sponsored, 4 other children in the community are helped! 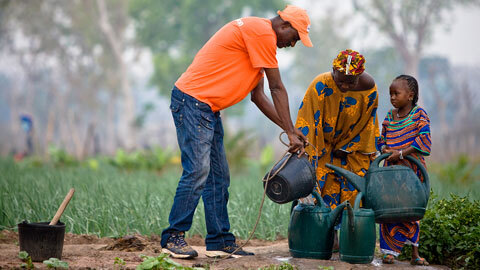 Where are you most passionate about helping end poverty? What country is on your heart? Sponsoring a child through World Vision means developing solutions for your child’s community based on their specific needs. You can rest in the knowledge that you’re effectively combating the issues you care about most. What is the best child sponsor organization? World Vision will be the best child sponsorship organization for you if you’re looking for a Christian organization with sustainable, community-based approach. Learn more about how we work. How long is my child sponsorship commitment? When you sponsor, you get to create a long-term friendship with a child in need. While you can cancel at any time, you may continue sponsoring your child for as long as your child remains in the program. Many sponsors enjoy exchanging letters and photos over several years. Will the child I sponsor be a Christian? Maybe. We work in many countries where Christianity is the majority faith, but we are also honored to be invited to work in many countries where Christianity is a minority faith, or barely present. We take great care to show God’s love in culturally appropriate ways, and serve every child we can of any faith or none. What a great opportunity! Learn more about how we live out our Christian faith.